Siri voice: Susan Bennett of Atlanta tells CNN she's the human behind it. 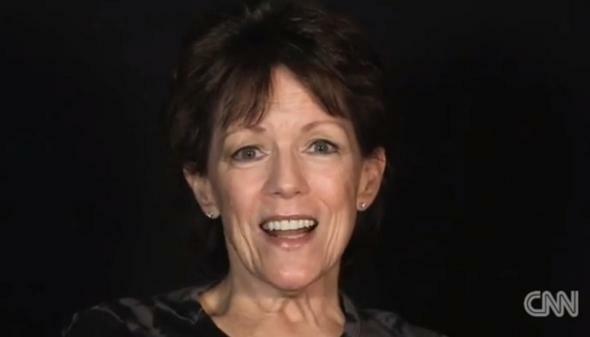 Susan Bennett says she’s the original voice of Apple’s Siri personal assistant software. CNN has found Siri. Apple won’t confirm it, but the cable news network is pretty sure it’s got the right woman. She’s a middle-aged voiceover actor named Susan Bennett, and she lives in CNN’s backyard: suburban Atlanta. But you probably suspected as much already, right? Bennett was a voiceover artist I was interviewing for a CNN special project on the world’s busiest airport—Hartsfield-Jackson Atlanta International—scheduled to come out next month. I was tracking down the airport’s voices, and she, a voice of Delta terminals, was one of them. In the course of our phone conversation, I asked her to rattle off some jobs she’s had over the years. She gave me a quick and general rundown and then added that she’s done a lot of IVR work. Bennett is not the universal Siri, of course—just the U.S. version. The British and Australian Siris have already stepped forward. Now all that’s left is for the new male Siri voice to reveal himself. For all we know, he could be a middle-aged woman from Atlanta too.